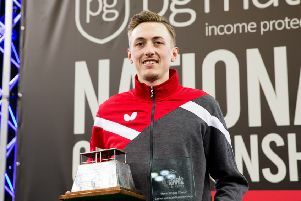 Liam Pitchford powered to a fifth career Men’s Singles title at the PG Mutual National Championships – and afterwards revealed he is to play in the top league in Japan next season. 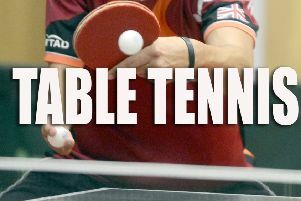 Two youngsters from the Chesterfield area have been picked to represent Derbyshire at the largest schools table tennis event in England. 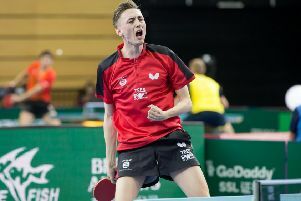 Chesterfield ace Liam Pitchford clocked up another momentous victory, beating world number three Timo Boll, as he reached the semi-finals of the Austrian Open. A quest for European Championships glory by Chesterfield’s Liam Pitchford was ended in the last 16 by the top seed and eventual champion. Liam Pitchford’s recent performances have been the talk of the table tennis World Tour – and have boosted his confidence for the European Championships which begin on Tuesday. 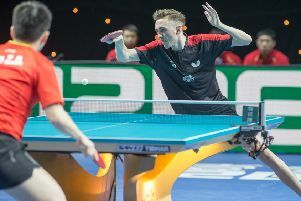 Chesterfield ace Liam Pitchford beat table tennis’s former world number one on his way to a career-best performance on the World Tour. 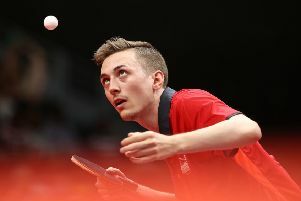 Liam Pitchford admits winning his first Commonwealth Games gold is “a weight off his shoulders” as he returns from Australia with a total of three medals and a new status as England’s record table tennis medal-winner. Liam Pitchford was proud of the way England recovered from an agonising semi-final defeat to claim team bronze at the Commonwealth Games. 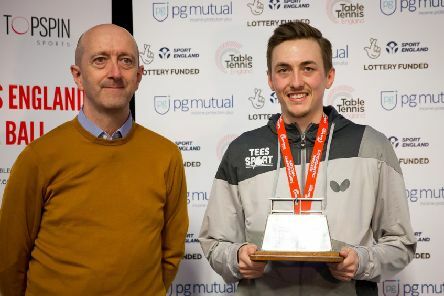 Liam Pitchford felt he saved his best for last as he beat England colleague Sam Walker in the final to win his fourth men’s singles title at the PG Mutual National Championships. 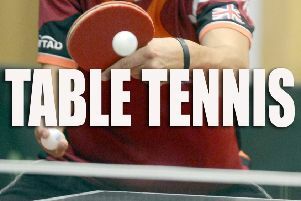 Globetrotting table-tennis star Liam Pitchford says he is firing on all cylinders ahead of one of the most important spells of his career. 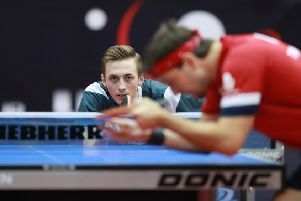 Inspired Chesterfield table-tennis star Liam Pitchford led England to a magnificent bronze medal at their home World Cup -– and almost toppled the leading Chinese player along the way. 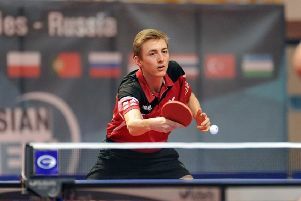 Liam Pitchford’s brilliant win over Japan’s teenage sensation Tomokazu Harimoto was the English highlight of the first day of the ITTF Team World Cup in London. 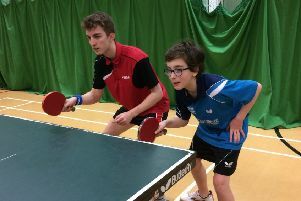 Local stars Sam Walker and Liam Pitchford are among 11 table tennis players selected by Team England to compete at the Gold Coast 2018 Commonwealth Games in April. 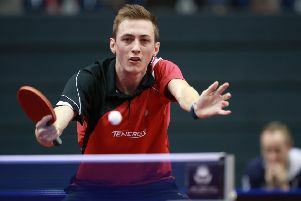 Liam Pitchford was unfortunate to run into top-20 player Marcos Freitas in top form at the German Open. 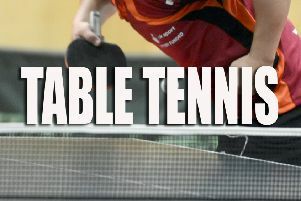 It will be an Indian summer for Liam Pitchford as he competes in the inaugural Ultimate Table Tennis League. 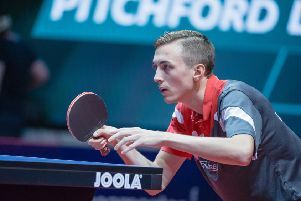 It was a bad tournament but there’s a lot more to come from me – that was the verdict of Liam Pitchford after his World Championships campaign came to a disappointing end. 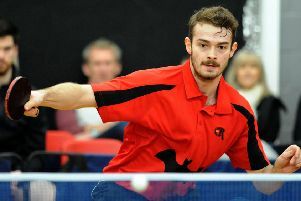 Liam Pitchford’s World Championships came to a premature end when the Chesterfield athlete was knocked out in the first round of the singles. 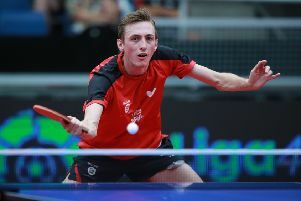 Chesterfield’s Liam Pitchford will have to concentrate on the singles after he and partner Paul Drinkhall were eliminated in the last 64 of the men’s doubles at the World Championships tonight.